Our review: Pale gold in color, this wine has bright aromas of tree fruit (apple, peach) and apple blossom. A ripe apple flavor come throughs on the palate, initially rather mild though growing quickly in intensity towards the finish. The finish is slightly tart, almost like apple peel in character. Our rating: This is a very pleasant but not overly complex wine, one that can readily be paired with a wide variety of foods. With its fruit-forward flavor profile and relatively low alcohol content, we think a light lunch or freshly tossed salad would be perfect. We, for example, enjoyed our bottle with cold chicken sandwiches. 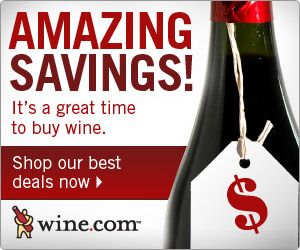 We rate it on the very high side of Above Average, and at just $7, consider it a terrific value for an ABC wine. Taste profile from the winemaker: "Yellow with green tonality, bright and clear. Intense aroma with balsamic note. Soft and complex in mouth."